Estate Planning is a topic most people choose to ignore. After all, who wants to think about dying? There are not many certainties in life, but unfortunately, death is one of them. 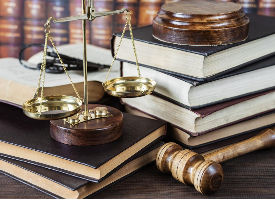 At Melick Law, we help individuals and families leave a legacy to their loved ones and provide the peace of mind that comes with knowing their wishes will be carried out. Find out how we can help you protect your assets and save your loved ones’ time, money and aggravation. 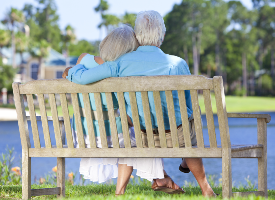 Depending upon your age, your estate planning needs may vary greatly. At Melick Law, LLC, we can help customize an estate plan to reflect what is presently needed, regardless of your age or financial status. From Powers of Attorney, to Wills, to Trusts, our estate plans evolve with our clients. Unlike other estate planning attorneys, we send letters to our clients every two years to see if they want anything changed in their plans. And, for our existing clients, we make most changes for FREE. Everyone over the age of 18 should have some form of an estate plan, whether it consists solely of powers of attorney (which enable you to designate agents to make financial and health care decisions if you are incapacitated) to complex trusts to minimize the burden of nursing home expenses. Most people are very pleasantly surprised at how quickly and inexpensively we can create an estate plan. As people get older, many new issues come into play. When people retire, retirement assets and income cause people to change their daily living habits. Additionally, the cost of nursing home care (on average $10,000 or so per month) causes fear into my senior citizens. At Melick Law, we can help protect assets from nursing home estate recovery and allow our clients to retain more of their assets. We can also assist with the daunting process of applying for Title XIX (Medicaid). 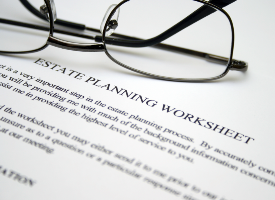 For our estate planning clients, we frequently create estate plans that avoid probate. Unfortunately, not everyone has such a plan in place. Many people pass away with either no estate plan, or a Will-based plan that requires the estate to have to go through probate. We can help families navigate the rough waters of probate and ensure that the estate passes to the intended beneficiaries as quickly and inexpensively as possible. Content © 2016. Melick Law, LLC. All Rights Reserved.